Software developers today can have an incredibly rewarding and satisfying career working on some of the most exciting digitalisation projects including moving data to the Cloud, IoT, Automation and Robotics. From our Voice of the Workforce survey of over 1,600 tech professionals we know that the biggest attraction to joining a new employer is ‘good pay & benefits’ but having interesting & meaningful work and good career prospects are two other huge factors which would influence someone’s decision to join a new employer. On the flip side, if in the wrong organisation, developers may experience being ‘pigeon-holed’ into certain areas of development which can reduce learning, decrease job satisfaction and ultimately lead to a less motivated and skilled developer. Chris McCall, Business Manager, Development, Networkers gives his advice on how developers can get back on the right career track with their organisation, or reboot their career by joining a new one. • Working within a team gives you the opportunity to share your skills and learn from others for the greater good of the team. But you can also gain as an individual too. Also, a high percentage of roles are filled through employee referrals so having friends in the right places can really help your career. Software development is constantly evolving and the best way to keep pace with these changes is to build your knowledge which can be done through a variety of sources including online forums such as Stack Overflow as well as local development meet ups where you can practice your skills. If you’ve made up your mind to move on from your current employer, give yourself the best chance of getting the job you want by following the steps below. 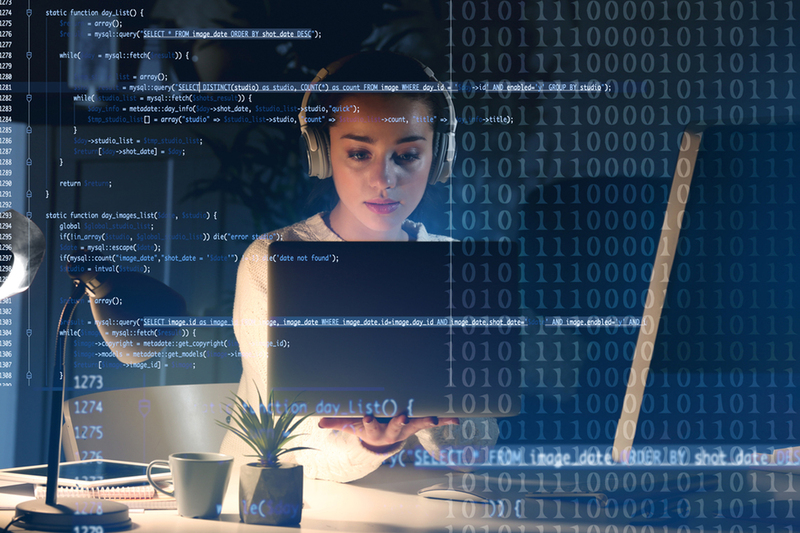 Despite an acute skills shortage of software developers, some organisations will still use some practical tests to secure the most talented professionals, especially in the case of more junior roles where job applicants have less experience to rely on. These can be in a variety of forms including binary sort tree, string manipulation problems or possibly even algorithms and Big O notation. You can find example tests of these online or have code reviewed on websites such as Stack Exchange.. The recruiting organisation will always look favourably on applicants who take proactive steps to improve their skills in software development as it shows dedication to the field and will differentiate you from the competition. This can be done by attending developer meetups, maintaining a blog, volunteering, or contributing to developer forums. Before an interview, the recruiter is likely to view your online presence to research your employment history and current skills. Maintaining an active LinkedIn, GitHub, Twitter, personal website, or blog site is a great way to show off your knowledge and experience, making you a more attractive proposition for recruiting organisations. Although it’s not advisable to over prepare with scripted answers to questions in interviews, good preparation for some common competency-based questions is likely to improve your confidence and also ensure that the recruiter is armed with the best examples of your knowledge and experience. You can find useful sources online and there is even a book called ‘Cracking the Coding Interview’ which includes 150 programming interview questions and answers. To see our latest development opportunities please click here.